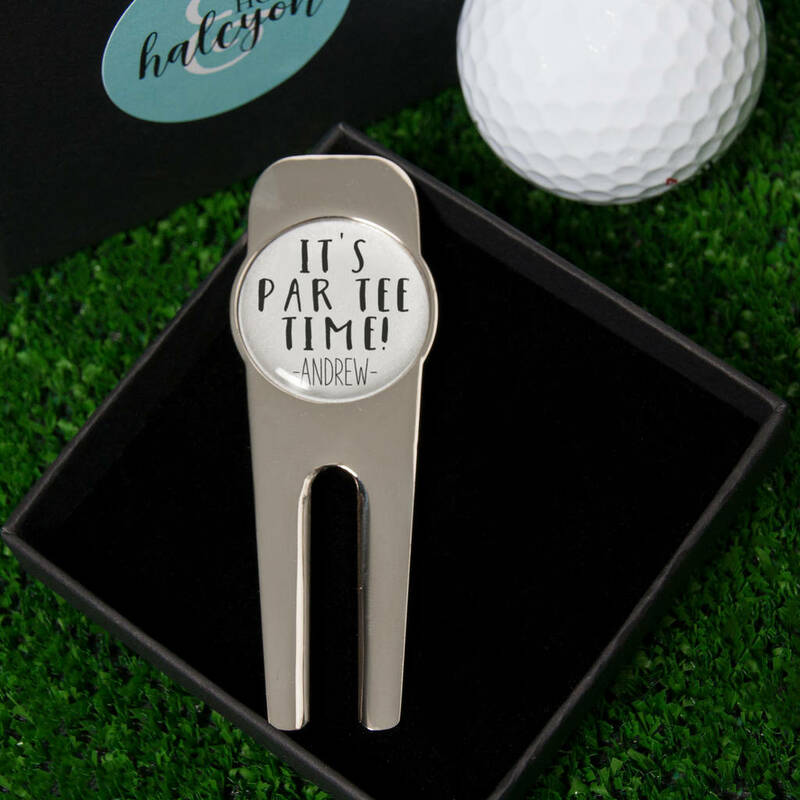 Personalised 'It's Par Tee Time' Golf divot tool. 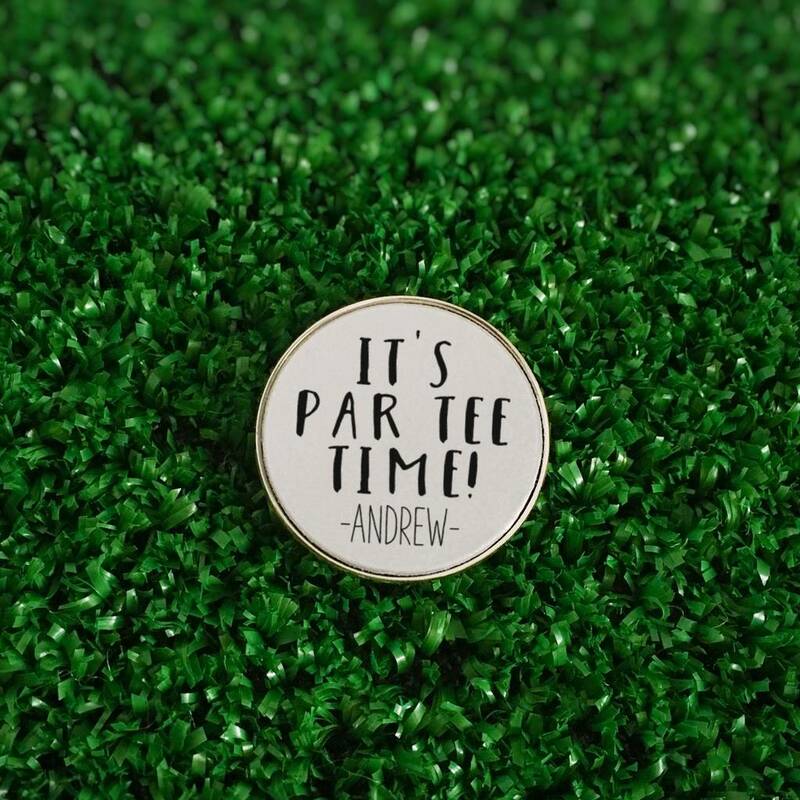 This personalised 'It’s Par Tee Time’ Golf divot tool makes the absolute perfect gift for a golfer of any age. The metal divot tool will be personalised with the name of your choice and encased within a clear poly dome to protect the design. Comes complete with a black gift box with a luxury black lining. A matching ball marker is also available. Golf divot tool measures around 7.8cm x 2.7cm excluding gift box.